This 3 bedroom 2 and a half bath townhome style property is extremely well furnished and equipped with top notch amenities. The McCloud complex is considered upscale with manicured lawns and a community hot tub and sauna. Most have a one car garage and pleasant decks to sit out on in the summer and BBQ. They are all within a few blocks of Incline Beach and the Hyatt Regency casino. The seventh night is free for most dates so be sure to ask! Good location, could stand some updating. The condo is in a great location, is well kept, and provided a great space for our friends and us to return to after a day of skiing. It could stand a bit of updating. Our family really enjoyed staying here. The house was well stocked and prepared with everything you could need while on vacation. Washer and dryer was a huge plus after a long day of playing in the snow. We had a group of eight (4 children and 4 adults) staying here and at no point did we feel cramped or uncomfortable. Location was perfect!! 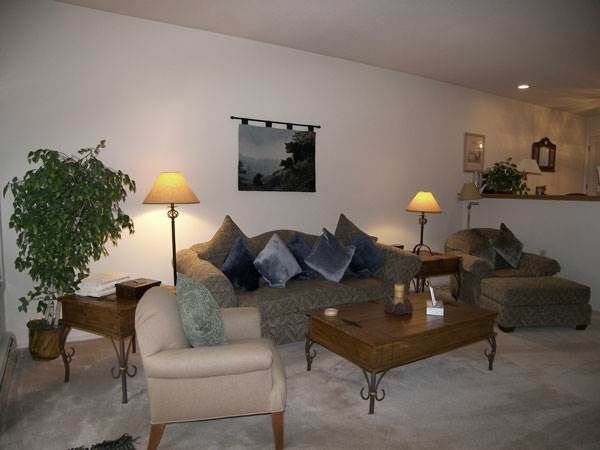 Near shops, restaurants, bowling and a very short drive to Mount Rose. The only reason I am giving it 4 stars instead of 5 is because the garage was in the corner near the snow bank by trees. This made for a difficult angle to stear one of the small SUVs in to the garage. Luckily there was plenty of parking in the visitor lot. We will definitely stay here again without hesitation!!! My sister and her family stayed in this unit for thanksgiving. They had no complaints and were quite happy with it. The only problem was parking since it didn't have a garage available. (There was quite a bit of snow on the day we all left.) The kitchen hadn't been updated so it had electric cooking.